website design and development, database integration, ecommerce, web design, search marketing, online marketing, logo design, branding and graphic design for companies and charities. Want to know how to get the most from your website? Here at Surefire we're experts at helping businesses do just that. 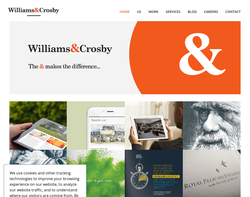 We design great looking websites that are clear and intuitive. 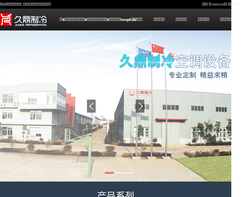 Website design and development, promotion, maintenance and management. 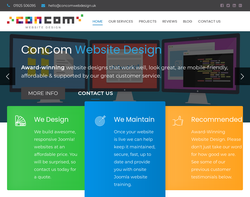 Our aim at Concom designer web solutions, is to provide and create customised, affordable web sites which are easy to navigate around, for every size and type of business. 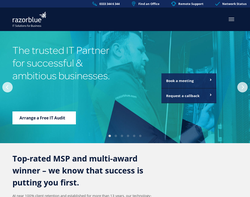 Take a look around our site to see some of the excellent services we can offer you and your business. 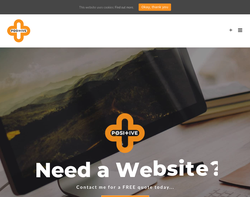 Whether you need a full web site built from scratch, or would just like us to offer advice on increased traffic to your current site, we offer it all. 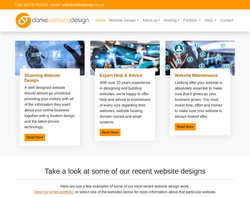 Below are some ideas of web site design packages we can offer, though we also create bespoke packages to suit your individual need. 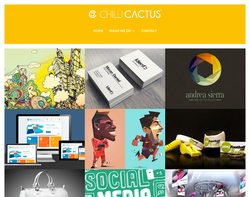 Chilli Cactus is an innovative and exciting design agency based in Wilmslow Cheshire. Offering clients a tailor-made service, we aim to get to the core of our customer's business needs to help them realise their full promotional potential. At Chilli Cactus, we want YOU to succeed and we believe that with over six years worth of hands-on experience within the print and graphic design industry, we're confident you won't be disappointed. 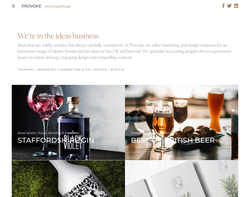 From corporate identity development, design for print, website solutions right through to a complete marketing overhaul, we always aim to exceed your expectations. And in partnership with Printing.com, we're able to offer high quality, fast, full colour print solutions at a fraction of high street prices. 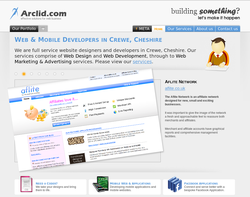 J-Media is an IT services company based in Cheshire. 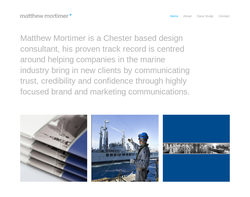 We work with a wide range of clients, from business start-ups to global blue-chip giants. 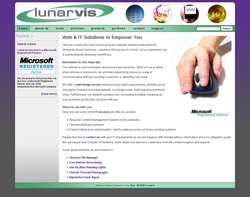 We specialise in IT Support, Software Development and Internet Marketing. To find out more about each of these service areas in more detail, please click on the boxes below. 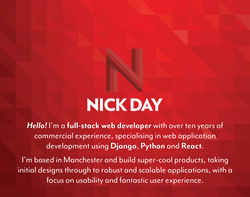 With over 15 years experience in the advertising and marketing field, we have an insight into web design and programming, not just as a practical tool but as a marketing vision and as your shop window to the world. Not only do we have the technical expertise you need, we offer so much more in terms of business advice, marketing experience and integration with other corporate activity. We understand that a website is about more than putting up pretty pictures, it's about creating a working part of your business. Whatever your situation or the size of your company, the principles of marketing are the same. You need the right message, the right images and the right communication to make a connection with your customer in order to generate sales. Websites, Web Applications, Content Management, eMarketing, SEO / Analytics, Intranets / Extranets and Domains / Hosting. Website design, print, multimedia, flash, illustration, branding, content management, multi-lingual sites, website upgrades, hosting, marketing and consultancy. 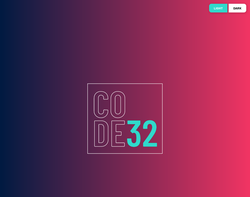 Web design, web development, usability, accessibility and user experience design. 3D Environments, Advertising & Marketing, Animations, Brand Design, CD-Rom Authoring, Direct Mail, Email Marketing, Events Management, Flash Videos, Internet Marketing, Online Public Relations, Pay-per-click, Public Relations, Search engine optimisation, SMS Text Message Marketing and Website Design. 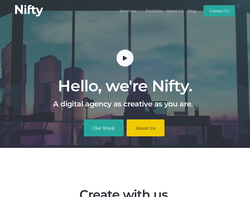 Design & Art Direction, Copywriting, Artwork, Print Management, Programming and Hosting. Website development, e-mail newsletters, hosting and updates. 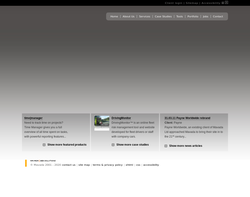 Web design, CMS and e-commerce. Web design, graphic design, hosting and domain names. Web design, e-commerce, database integration, media, and more. Illustration, cartography, digital media, print design, web design and web development. 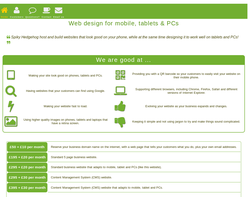 Web design, free healthcheck, consultancy, IT systems selection and web services. Web design, print design and other graphic services. 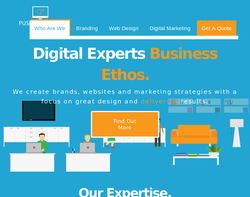 Web design, programming, e-commerce, marketing, SEO, CMS, hosting, and domain name services. Creativity & Design, Strategic Web Development, Brand Development, Web Marketing, E-Commerce, Search Engine Optimisation and Software Integration. 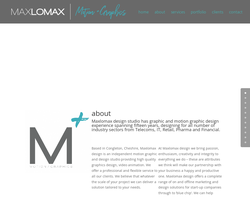 Various web design and graphic packages. Advertising, branding, print, web design and direct mail. 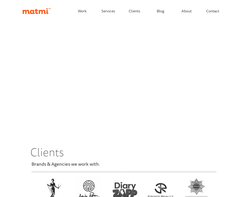 Web design, information architecture, content management, accessibility, SEO, hosting and domains. Give the Dog a Bone Ltd. 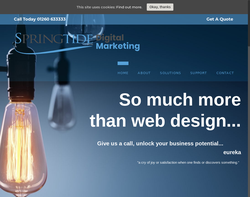 Web site design, web site hosting, internet marketing and e-mail marketing. Branding, printed leaflets, brochures, catalogues, posters, packaging, exhibitions, website design, development and search engine optimisation. Web design e-commerce, database integration, viral marketing, SEO, print media, business stationary, exhibitions, company literature, signage and branding. Website Design Services, Website / Domain Hosting, Domain Name Registration, Cabling / Network Installation, Computer / Hardware Installations, Server / Systems Management, Data Backup, PC Troubleshooting, Photography Services, Video Editing, Web Security Installations, Japanese Translation and Search Engine Optimization. 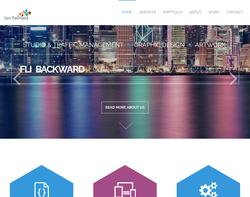 Web design, CMS solutions, creative design and hosting. We offer a comprehensive web development service, everything from eCommerce shops to multilingual websites. Our inhouse-developed Content Management System is used in all our websites. 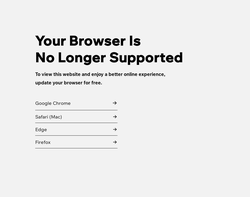 This tool allows you to easily maintain and update your own website, with no technical knowledge required. We also offer competitively priced hosting solutions, so we can meet all your web needs. Modern Technology - Traditional Service WebGuild Media Ltd is a friendly and creative website company who create professional, search engine friendly websites at an affordable price. 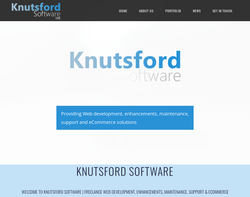 Our content management system website software has been developed by us to be easy to use so you can maintain your website yourself - no technical, internet or web specialist knowledge required. 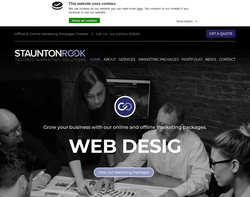 We are committed to creative and effective website design solutions to meet your needs and within your timescales. We guarantee outstanding customer service. Our customers range from poets to global corporations - we have a website solution to suit everyone. 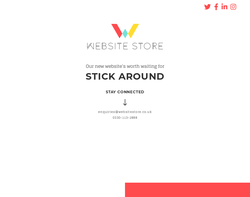 So if you are looking for a website please contact us. From small creative web solution to functional rich Content Managed e-Commerce with built in SEO capabilities. 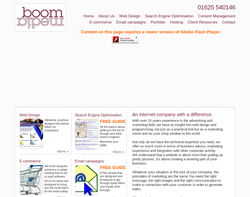 Established in 1986 we have a wealth of knowledge and experience to make your website work for you. 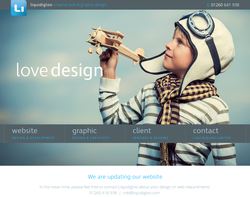 I aim to provide a professional, affordable web design service for my clients. I offer 3 types of websites that go into different price ranges, these types are: Brochure sites, the cheapest as they are the simplest form of a website, although the design isn't compromised. 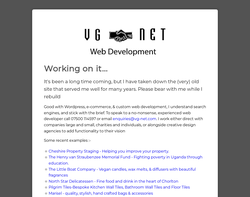 Blogging sites (Using the Wordpress engine) where I completely customise the websites to suit the clients' needs exactly. 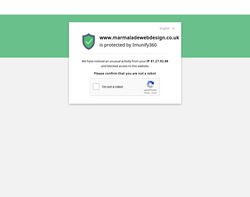 Ecommerce (Using the Opencart engine) , the most expensive, again all of the designs are completely unique to one another and personalised for each client. 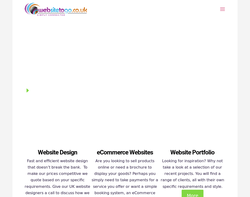 Bespoke web design from �99. Perfect for small business, with various e-commerce options available. 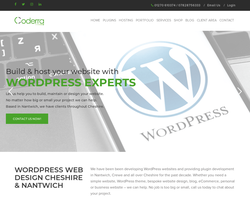 Based in Ellesmere Port and offering web design services throughout the UK. 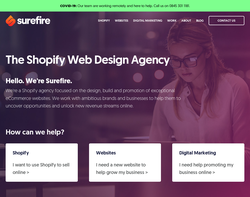 We offer a very affordable, yet high class web design service that offer the great looks a website needs, but also total control over content is given to the customer. Our websites are audited by an SEO expert before they are launched to ensure they get the best chance of being found on Google. We do not charge for CMS access and we offer on going advice and support. Dupoi offers professional mobile-friendly website design and development services for local and national businesses, including search engine optimisation, pay-per-click advertising management and other digital design and marketing services. 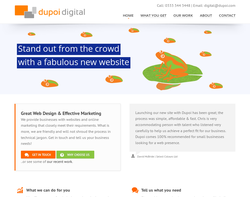 Visit dupoi.com or call 0333 344 344 8 to find out more! 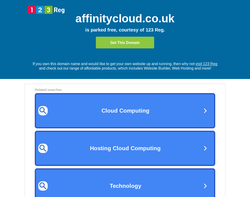 The main driving force here at Affinity Cloud, apart from the fact that we love what we do, is our focus on making sure that our customers achieve their business goals using the products that we develop for them. 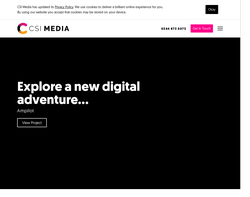 Whether you require a simple brochure website, a fully integrated content management system or an entirely custom solution, we strive to link every design and development decision we make with a fundamental business objective. We can then measure, monitor and adjust each metric based on the success of each individual business goal, further increasing your return on investment (ROI). 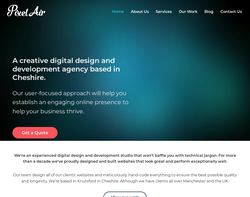 We take on all aspects of Web Design � new websites, website redesigns, e-commerce, mobile optimized and responsive websites. 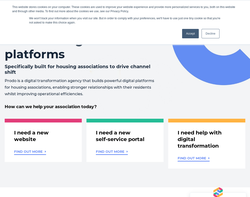 We have the skills to make it work across all platforms and look pretty slick too! 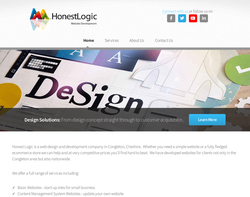 Website provides bespoke websites which are made to your exact specifications. You can speak to us directly at our Wilmslow store. Web Consultancy Services | Web Design | SEO | PPC Advertising | Web Analytics | Digital Project Management. 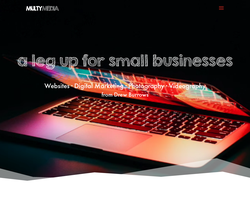 Creating the digital buzz for your business, make your site rank higher, increase your sales, generate more leads, get more connections - stand out from the crowd with Buzz Web Consultancy. Get in touch today. 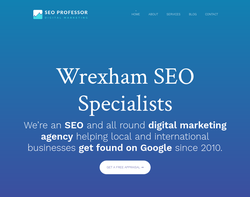 We provide SEO and web development services to businesses in Chester, Wrexham and North Wales. Our aim is to make SEO affordable while achieving outstanding results for our clients. 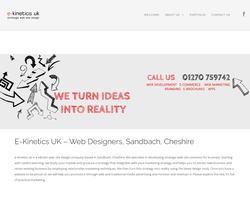 Professional web design and web marketing company in Congleton, Cheshire. We provide Web Design, PPC SEO and CRM services. We are based in Congelton but most of our clients are all over the Northwest, Greater Manchester and West Midlands. Website Design & Development We design and develop responsive WordPress websites and HTML websites. Whether you need a WordPress theme setup or bespoke website design, we can help with your blog, eCommerce, personal and business website. Website Hosting & Support Fast WordPress hosting and reliable support by WordPress experts. Our managed WordPress hosting comes with free website backups to the cloud or an external FTP server, website security, and regular plugin and core updates. WooCommerce & eCommerce WooCommerce and WordPress are the perfect eCommerce solution for your online shop. We offer eCommerce support, development and maintenance and well as themed and custom eCommerce websites using WordPress. 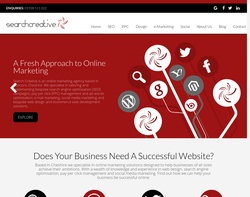 Search Creative is a specialist online marketing agency based in Runcorn, Cheshire. We have over 20 years experience of designing and implementing online marketing strategies to provide our clients with the maximum ROI. 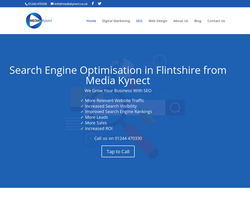 We provide professional and expert SEO, PPC, Search Engine Optimisation, Online Marketing, Internet Marketing, Email Marketing, Social Media Marketing, Web Design, Web Development solutions for local, SME and international businesses in multiple sectors. At Staunton Rook, we will work with you to ensure that you are targeting the right people in the correct way. Our in-house graphic designer will produce a well-designed website that attracts your target client and allows them to navigate easily through the site to the product or service desired whilst our web developer programs the site so that it will work efficiently. Our designers and developers are all technically trained to use the latest programmes and technologies to build websites that are fully responsive to work as well on a mobile and tablet device as they do on a desktop or laptop. 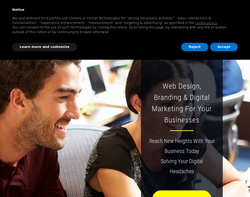 Welcome to Blue Whale Media, the web design partner for your business. 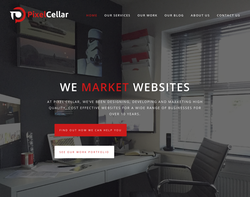 We are a web design company that understands your business needs like no other. 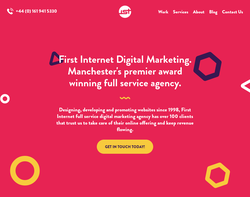 We specialise in digital marketing and provide a full range of services including branding, web design, app development, SEO, social media marketing and copywriting services. We are passionate about our work and constantly challenge our limits to give you unmatched benefits for all your business needs. We are a dedicated team that will work with you to achieve your dream. Whether you are rebuilding or developing your idea for the first time, we will be there to support and guide you through the Web Development process. By the start of the 21st century, residential construction was using steel in over 25 percent of houses built, making steel stud roll forming a rapidly growing industry. The roll forming equipment can be changed in 20 minutes or less to produce a different width and a different flange height, in different gauges of material. An electro-mechanical adjustment is all thats required to offer a wide range of stud and track widths on demand. Stud and track roll forming machine is the best choice in the metal industry construction for metal or steel section materials. Blue Whale Media Ltd is made up of five departments. The sales team have worked in the industry for 13 years and are committed to being the best out there. 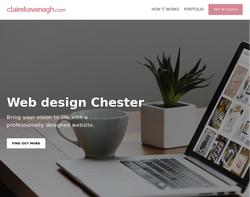 Web Design Chester Cheshire | Digital Marketing Chester Cheshire An all inclusive web design and digital marketing freelancer. 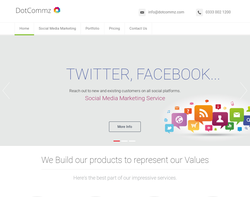 Providing everything from branding, graphic design, photography, SEO, PPC and Social Media. If you're looking for a one to one service, I speciailise in helping businesses & startups find new customers and keep them.